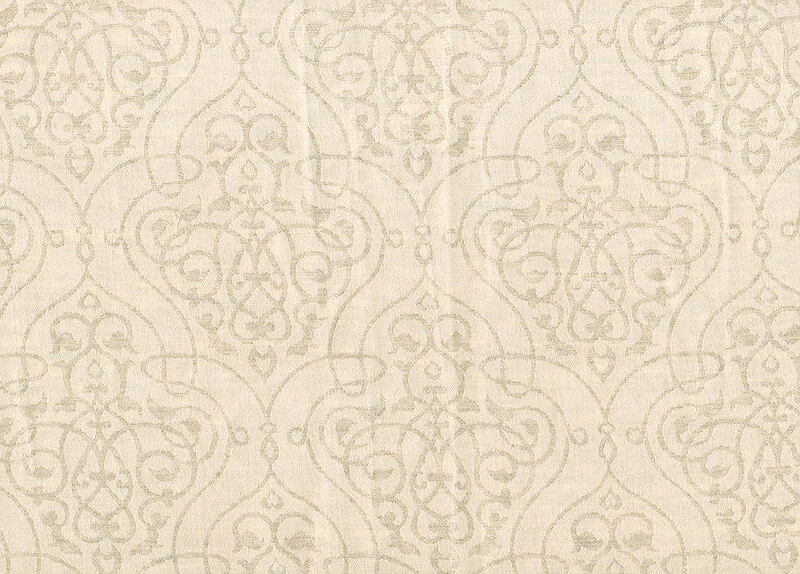 Petite Marrakesh Linen/Cotton by The Purists - Swatches may be available. 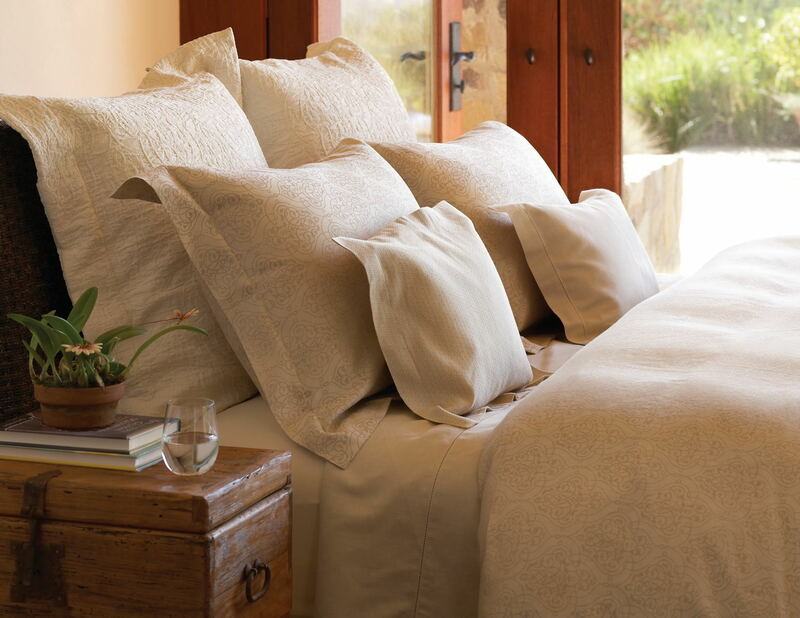 Moroccan art is rendered in the Petite Marrakesh Luxury Bedding by the Purists with a precise blend of all-natural cotton and linen. 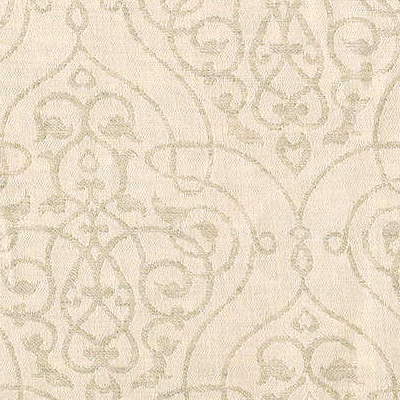 Add elegance to your home with this jacquard bedding collection. Photo shows (A) Purist Linen Plus Sheeting, (B) Purists Petite Marrakesh Sham, and (C) Purists Sumi Sham. May be returned within 30 days for refund or applied toward your purchase. Duvet covers have button end closure. Supreme fitted sheets are VERY generous. Made for extra deep mattresses, they are sewn with a 17" height plus 3" to tuck under and elastic all around. Regular fitted sheets are 13.5" plus 3" to tuck under.